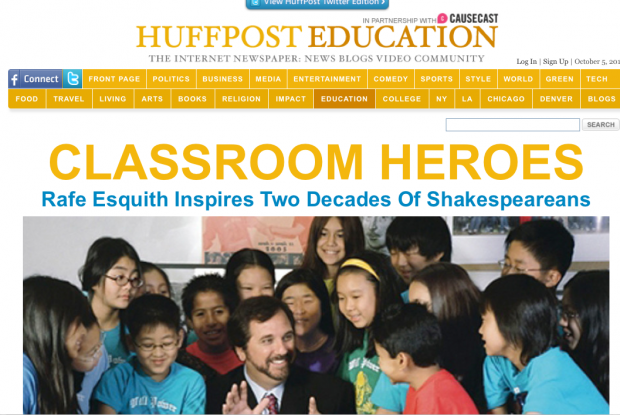 Huffington Post's characteristic all-caps, across-the-screen headlines are now focusing on education. And for good reason: there are plenty of bold-face names -- like Oprah Winfrey, Tony Danza, Tom Brokaw, John Legend, and Geoffrey Canada -- to keep the subject in the spotlight. With the White House pushing its Race to the Top initiative, and Davis Guggenheim's Waiting for "Superman" sparking a national conversation about both the problems plaguing America's schools and the innovative solutions being proposed and implemented all across the country, America is having an Education Moment.